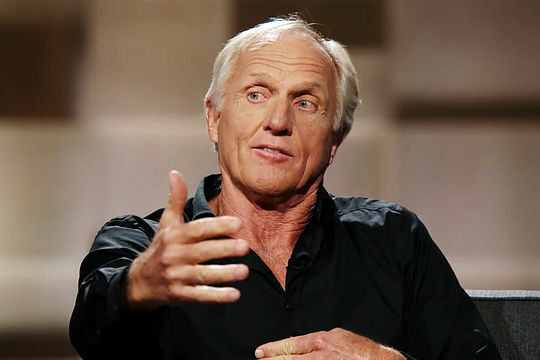 He’s an icon in Australian golf…although many would suggest Greg Norman was never able to fulfil his enormous potential as he finished his career with just two major championships. Indeed one year, Norman led all four majors heading into the final round. Yet even the man they named The Great White Shark admitted he once lost his cool on a golf course – and it was at the 1986 US Open when he was at his peak and had a chance to win at Shinnecock Hills, before eventually falling to American Raymond Floyd. Norman did an in-depth interview in the US last week on a show named Undeniable, hosted by Dan Patrick. And the Shark explained how he came to lose his cool after finally letting the abuse from some US spectators wear him down. “They were saying ‘Go home you effing Aussie’, ‘You can’t play golf’, ‘You’re a choker’, you’re this, you’re that, so it was very hard because they get you while you’re walking between the green and the tee, when you’ve got about a six foot of space, and they’re just yelling into your ear,” said Norman. The in-depth Norman interview with Patrick airs on AT&T Audience Network.